Welcome to Neptune Packaging Private limited. Manufacturer and Exporter of Fogging Machines, Fertilizer Broadcaster and Sprayers. We are an ISO 9001:2008 certified company, incepted in 1993, at Indore. We have spread our wings to Indian Subcontinent and Middle East. World class quality products and highly skilled manpower help us to serve Clientele like MP State Agro and AP Agro. 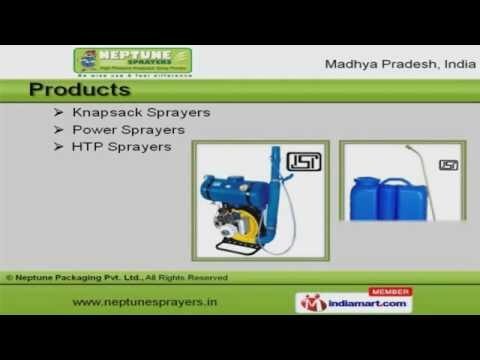 We offer a vast range of Knapsack, Power and HTP Sprayers. We are widely recognized as one of the eminent organizations engaged in offering Fogging Machines and Foot Sprayers. Battery Operated and Stirrup Sprayers offered by us are best in the industry. Our Cotton Picking Machines and Cono Weeders are in huge demand across the global markets. We are specialized in offering Hand Sprayers and Hand Rotary Dusters. Along with that we offer a qualitative range of Fertilizer Broadcasters and Cold Foggers.